In March 1901, not long after moving into 14 Adamson Road, Robert and Stanisława Bevan had a second child, a son, Robert Alexander (known as Bobby). 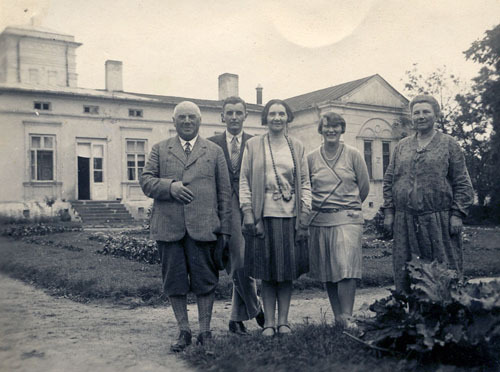 Throughout the next decade the family would make annual trips to Poland staying at her parents’ house or at those of her sisters, Halina and Maria. However, these were difficult times in the country and in June 1905 there was a major uprising by Polish workers in Łódź against the Russian Empire. Known as the Łódź insurrection this was one of the largest disturbances in the Revolution in the Kingdom of Poland (1905–1907). 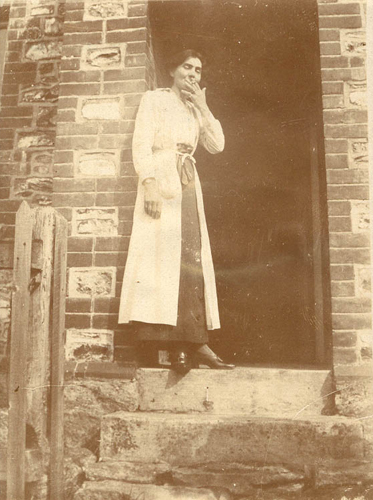 In the summer of 1906, Stasia set off for Poland by herself, via Vlissingen and Berlin. In her fur muff she was carrying a Webley Mk IV revolver that she had been asked to bring out by Maria for her personal protection. 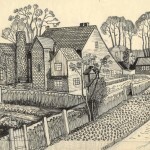 Walter Bayes, Lucien Pissarro, Manson, and Wyndham Lewis’. When he died later that year, de Karłowska broke the news to Sophie. The Bevans were very hospitable and Robert was once referred to as the ‘Maecenas of the Camden Town Group’ though nothing could have been further from the truth. The allowance from his parents allowed him to buy his friends’ work, effectively subsidising their own careers in a modest way. The annual inheritance that she received from her family also helped considerably, but that stopped in 1914. 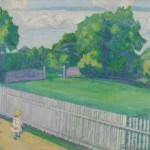 The situation was relieved in 1918 when Bevan inherited some money on the death of his father. 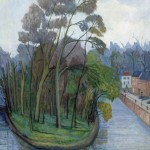 Neither of the artists would have been in a position to support a family on the few works that they were able to sell during their lifetimes. ‘It was certainly a marriage for love, and she proved to be the best kind of wife he could have chosen. She had considerable beauty and charm, and, while she was far from being an intellectual, she had a natural and endearing vivacity …’. 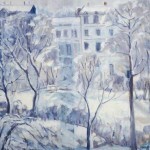 Stanisława (always known as Stasia) made a number of paintings of Swiss Cottage near to where they were then living (see above). 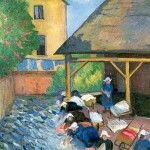 She and her husband frequently went on painting expeditions together. They made regular trips to Poland, and to Somerset where they spent three summers (1912, 1913, 1915) in the Blackdown Hills. 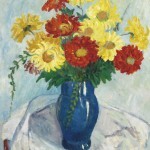 Throughout her married life and following her husband’s death Stasia continued producing works of art. 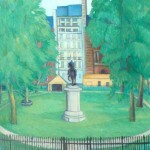 She exhibited with the Women’s International Art Club, soon after 1900. 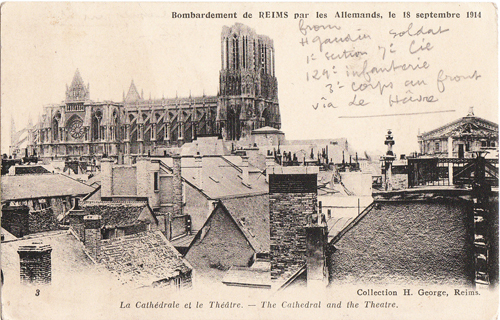 Originally it required members ‘to have studied in Paris, to be women and do strong work’. The requirements for membership were later redefined to include ‘all women artists whose work attains the necessary standard of artistic merit’. 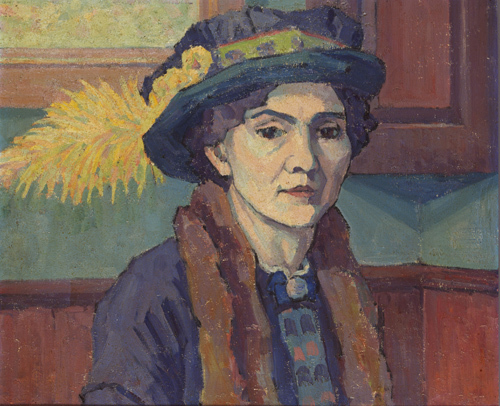 From 1908 she frequently exhibited alongside her husband at exhibitions organised by the Allied Artists’ Association, but while Bevan was recruited to join first the Fitzroy Street Group, and then the Camden Town Group, de Karłowska was not invited as she was ineligible for membership, being a woman. 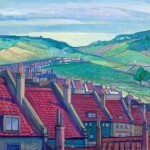 In spite of this, her paintings share similar characteristics with the groups, and are generally small in scale and informal in style and subject matter. 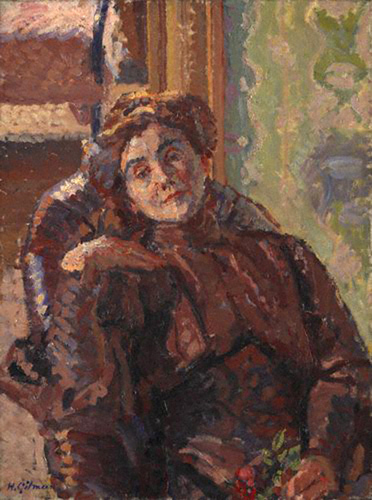 She was friends with many of the members and inspired portraits by Harold Gilman and Spencer Gore. 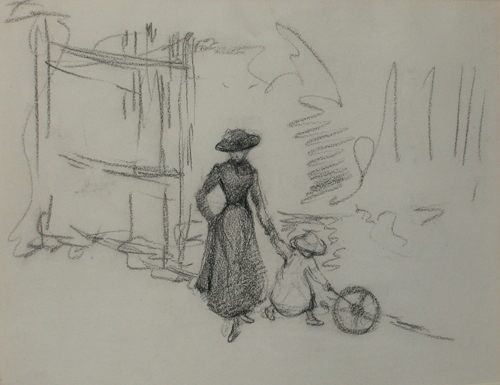 From 1908 Stasia exhibited with the New English Art Club (NEAC) and contributed to two shows in 1915. 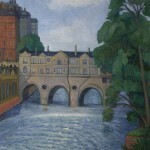 She also entered paintings for mixed showings at such venues as Olympia (Daily Express Women’s Art Exhibition, July 1922) at the Cooling, Goupil, Grosvenor and Leicester galleries in addition to the Cumberland Market Group. 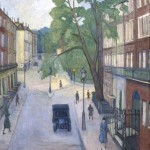 In 1921 she joined her husband in a show of modern British painters at the Galerie Druet, in Paris. 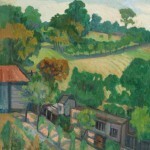 Bevan painted for a number of months each year in the West Country, and his wife and children often joined him in the school holidays. He rented Lytchetts, near Bolham Water, from 1916-1919, and stayed at Gould’s Farm, Luppitt, from 1920. 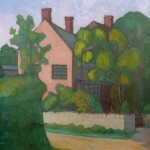 In 1923 he bought Marlpits Cottage on Luppitt Common. 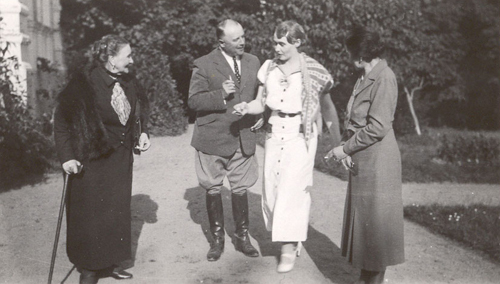 In March 1925, shortly after she had been admitted to an asylum, Sophie Brzeska died. Two months later Bevan also fell ill and died soon after. Stasia would outlive her husband by another twenty-seven years. 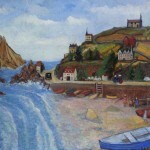 She travelled to Poland until the late 1930s and would holiday with her daughter’s family at Pléneuf-Val André in Northern Brittany and at St Nicolas-du-Pélem, further south. 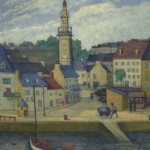 Many of her London and Breton paintings can be seen in public collections. 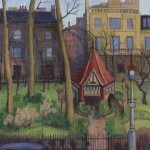 Between 1930 and 1936 Stasia painted a series of pictures of London’s garden squares. 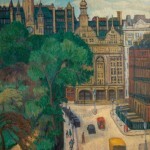 These are usually deserted except for the occasional passer-by, and are characterised by their intense colours and clearly delineated objects and figures. ‘She is an acute observer with a sympathetic vision which enables her to enter into the very spirit of the person, place or thing that she is painting’. Stasia remained at Adamson Road after her husband’s death in 1925, letting the first two floors and withdrawing to the upper two floors where she retained the use of the studio. 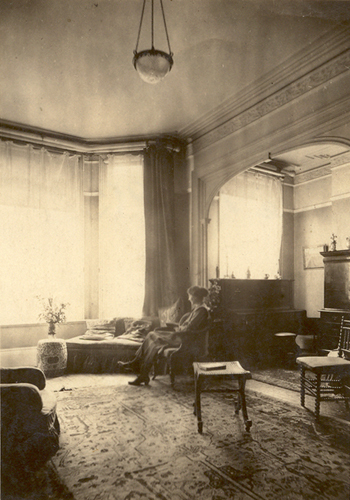 In 1936 she moved to a flat at 46 Russell Square, Bobby being resident at No. 41. In 1939 she moved to Torrington Square, but the bombing forced her to move to her daughter’s house at 15 Abbey Street, in Chester, where she spent the war years. She had a studio in the attic and carried on working. 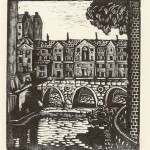 Throughout the war she continued exhibiting at the London Group shows, at the Goupil Gallery, and from 1939 at the Women’s International Art Club. It was only in 1950 that she ceased to participate in London Group activities. 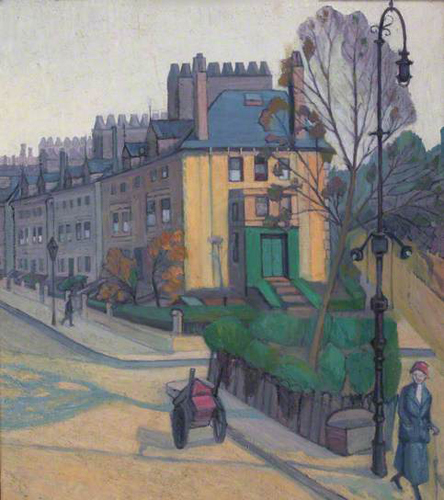 She remained in close contact with Camden Town Group friends, such as Sickert and Malcolm Drummond. 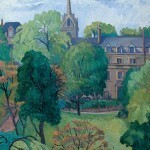 She also saw a lot of John Nash and Charles Ginner, who both remained friends of the family until their deaths. ‘victim of the frightful fog which carried off an unprecedented number of old people’. 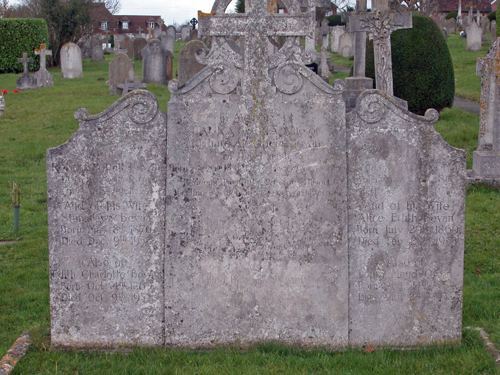 Following a Requiem Mass at St Mary’s, Cadogan Street, she was buried alongside her husband, in the Bevan family plot in Cuckfield in West Sussex. 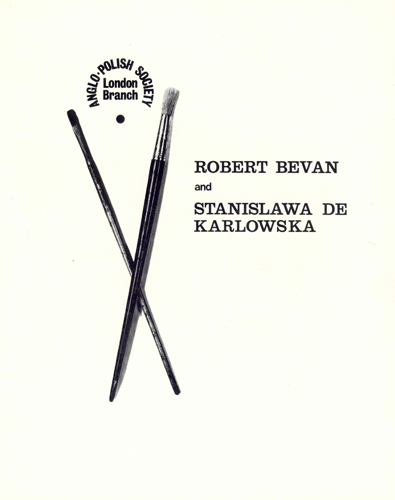 Her memorial exhibition was held at the Adams Gallery in 1954, and in 1968 a joint Bevan – de Karłowska show was held at the Anglo-Polish Society, in London. 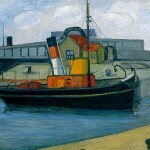 Many works were presented to public collections over the following twenty years. However, although one can see the influence of her husband occasionally she never flirted with Vorticism in the way that he was to do. 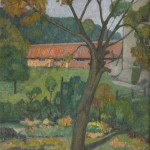 As an artist, Stanisława de Karłowska was content to follow her husband stylistically until his death; thereafter she adopted a simple style, following no particular painter. 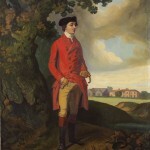 1 Throughout his friendship with the Bevans Henri pretended that he and Sophie were brother and sister.